The Kalanchoe family of plants includes the familiar kalanchoe houseplant, also called flaming Katy (Kalanchoe blossfeldiana), which also grows outdoors in warm climates. In U.S. Department of Agriculture plant hardiness zones 10 through 12, kalanchoe grows outdoors year-round, or you can treat it as an annual or grow it indoors. A succulent that grows 6 to 18 inches tall and wide, kalanchoe grows best in dry, bright conditions. Caring for kalanchoe involves feeding it with a fertilizer that promotes flowering, and careful watering. Kalanchoe flowers are yellow, pink, orange, salmon or scarlet. Fertilizers high in phosphorous encourage flowering in kalanchoe plants. Phosphorous content is shown as the middle number of the three numbers that appear on fertilizer labels. Feed a kalanchoe with a water-soluble 15-30-15 fertilizer once a year while the plant is growing. Before flowering is the best time, but during flowering is also OK. To fertilize a potted kalanchoe, dissolve 1 teaspoon of the fertilizer in 1 gallon of water, and slowly pour the solution over the potting soil until it flows from the drainage holes in the pot. To feed an outdoor kalanchoe, dissolve 1 tablespoon of the fertilizer in 1 gallon of water, and soak the soil at the base of the plant. Rates and application methods vary among products, so always read the label and follow the instructions. A kalanchoe only grows well in dry conditions, and over-watering can damage it. Water potted and in-ground kalanchoe plants when the soil is dry to a depth of 2 inches. Water a potted kalanchoe until the water flows through the drainage holes in the pot, and apply 1 inch of water to an in-ground kalanchoe. Allow a potted plant to drain until no more water appears before replacing the plant on its drip tray, and don't let a potted kalanchoe stand in water. Standing in water and over-watering lead to root and stem rots. A well-drained potting soil is essential for potted plants, such as a mixture of 6 parts peat moss and 4 parts perlite. Always use pots with drainage holes. Pruning a kalanchoe tidies up the plant and encourages a dense, compact form. Kalanchoe stems are soft, so you can pinch off flowers and stems with your fingers. Remove kalanchoe flowers as they fade, and pinch off 1/2 inch of stem tip on nonflowering shoots, which encourages the shoots to branch and grow densely. Kalanchoe grows leggy in low light. If your plant's stems are growing too long, move it to a sunnier spot, and pinch off overly long stems at the desired length. A kalanchoe rarely reblooms without special treatment, and you may wish to throw it out after it has finished blooming. Mealybugs, aphids, scale insects and mites attack kalanchoe. The usual sign of mealybugs is patches of a cotton woolly substance; mites create fine webbing; aphids are tiny insects that cluster at shoot tips and the undersides of leaves; and scale insects look like tiny shells on stems and underside leaf veins. 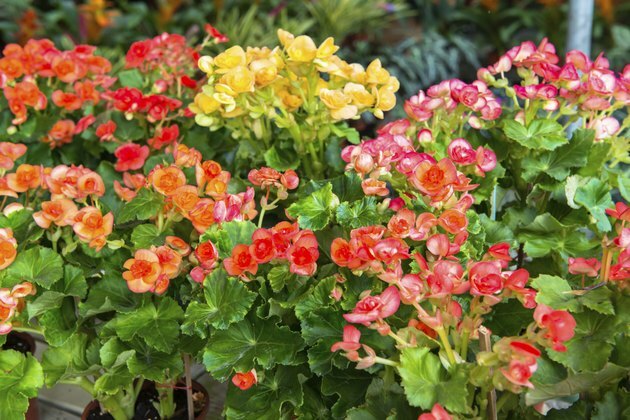 Treat minor infestations of mealybugs, aphids and scale on indoor and outdoor kalanchoes by destroying and removing the insects. Wipe mealybugs with a cotton swab soaked in rubbing alcohol, squash and remove aphids with your fingers, and scrape off scales with your fingernails. Spray mite infestations and major infestations of the other insects on indoor and outdoor plants with a ready-to-use insecticidal soap spray. 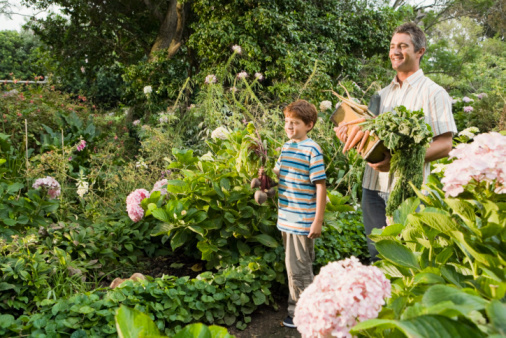 Spray all plant plants except the blooms, and spray every week until the insects are gone. Your kalanchoe may have problems with powdery mildew. Signs of powdery mildew include mottled leaves, yellow spotting or flecks of dead material, lines or spots, poor growth and poor blooming. Growing the kalanchoe in an airy spot helps prevent powdery mildew, or you can spray plant that's suffering badly with an 85 percent potassium bicarbonate product diluted at a rate of 2 tablespoons per 1 gallon of water. Put on long pants, a long-sleeved shirt and gloves, and spray the kalanchoe leaves and stems every week or two weeks to control the disease, or dilute and apply the fungicide according to the manufacturer's instructions. Why Is My Amaryllis Only Growing Leaves?